Open from January 10, 2017 – April 11, 2017 // Gallery open 45 minutes before showtimes and by appointment. For the past three years I have set aside my practice as a figurative oil painter to explore alternate materials and mark-making processes. I have co-opted utilitarian products from hardware and industrial fabric stores in order to develop new vernaculars in my painting repertoire. These items are mass-produced for maintenance work and not intended to draw attention to themselves. They play a functionally supportive role and almost always operate in the the background. These paintings however, bring them to the center of the viewer’s gaze. 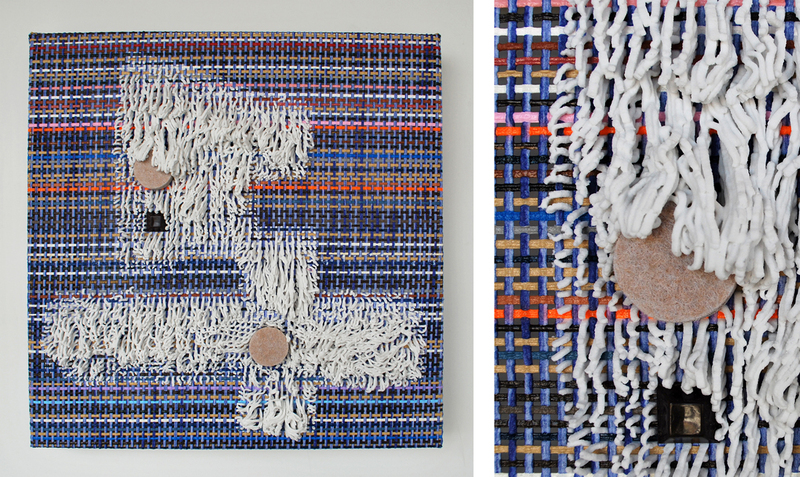 I work intuitively to allow the materials to dictate my direction. I look for visual rhymes (correlations in texture, color, pattern, or luminosity) between disparate materials and pair them together. Subtle painterly variations direct the flow of the work. Compositional choices are made in order to emphasize dialogues between substrate and surface. In my search for new mark-making vernaculars, I have developed a process in which viscous paint-like media are extruded through porous, gridded substrates. As I delve deeper into process, I will be researching materials’ origins as well as their intended functions. As a new mom who’s taken on the role of managing the household and caring for my daughter, I am doing a lot of maintenance work that layers into the background-unseen. My art practice is the inverse of my daily life. Through this new body of paintings I hope to explore the dichotomy between our culture’s lack of esteem for these maintenance roles and their inherent worth. 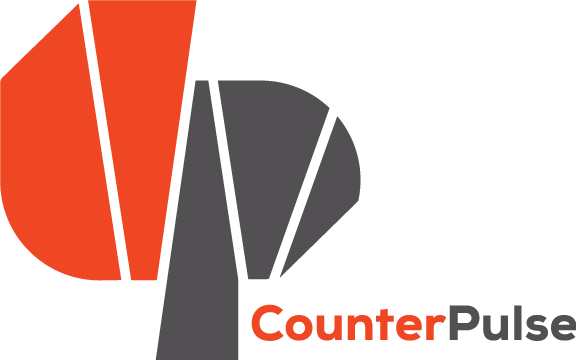 CounterPulse is excited to partner with ArtSpan’s Art-in-Neighborhoods program to bring visual art to the walls of our three-floor lobby. This is our inaugural show for this partnership.